Since 1986 Architectural Facades Unlimited has been creating award winning architectural cast stone elements. •AFU provides quality, expertise, professionalism, diversity, and fine attention to detail at every level. •AFU continues to provide commercial, residential and restoration projects with exceptional ornamental architectural precast stone standard and custom products. •AFU consistently creates highly intricate and durable designs and fabrications in AFU’s lightweight LCS Stone™, GFRC, GRG, and Standard Precast products. •AFU’s products are available in an array of standard colors and a variety of finishes ranging from Sandstone, English Granite, French Limestone, to Italian Travertine as well as custom colors and finishes. Architectural Facades is excited to collaborate with you to provide architectural cast stone elements for all your projects. The AFU team strives to meet each client’s preferred specifications with expertise, consistency and reliability, provided in a professional manner. Known for its integrity, honesty and availability, the AFU team is ready to serve your project requirements today. LCS Stone© is a proprietary product developed as an alternative to extruded foam products. 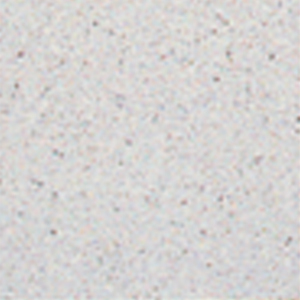 LCS Stone™ is a light weight mix design that is integrated with a cast stone face coat. As a result, AFU provides a higher quality lightweight cast stone with a much stronger surface area which can be used in impact zones. Color may vary from above; orders will be provided with a color sample for approval prior to fabrication. *Custom finishes and colors also available. • Landscape / Hardscape Elements: Pavers, Entry & Mailbox Piers, Stair Treads, Wall Caps, Pool and Edge Coping, and Planters, fountains, floor fountains. • Window Sills & Trims: Quatrefoils, Corbels, Corner Quoins, Wall Veneers, Wainscoting, Lintels, Belly Bands.